Hey gang, Valkor here. After running in a dryspell the past couple of months, finally AniView gets a some love. And what an injection it's about to receive. 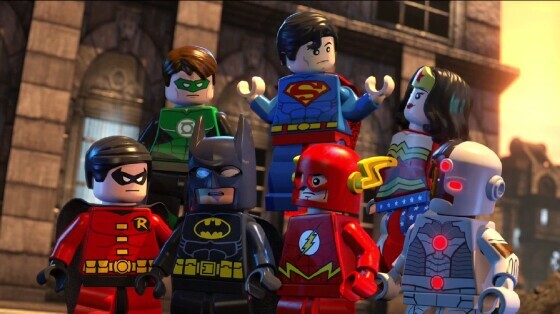 Straight from the folks at Warner Home and DC entertainment, plus the Lego Group have put together a Lego CG animated feature film starring DC's finest heroes and baddest baddies – Lego Batman: The Movie – DC Superheroes Unite. I can't say I'm a huge fan of the Lego games, but Lego films? I'll buy that for a dollar! 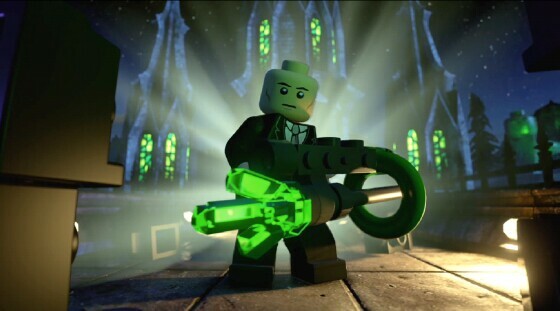 In Lego Batman: The Movie, Lex Luthor (Clancy Brown) is running for president; however the polls show he's not doing so hot and he stands to lose - big time!. So he has devised a scheme that would insure victory – he would team up with the Joker (Christopher Corey Smith), who would then mix up some of his special laughing gas to get the population to love him and win in a landslide. But the only thing that stands in Luthor's way is the Justice League, but before he can tackle the League in its entirety, he must take out their two major components – Batman (Troy Baker) and Superman (Travis Willingham). Luthor's first stop is Arkham Asylum where he frees the Joker and the rest of Batman's enemy repertoire – Bane, Catwoman, Penguin, The Riddler, Poison Ivy, Harley Quinn, and Two-Face. 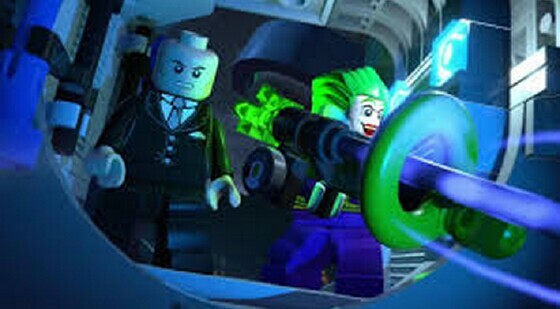 Batman and Robin arrive on the scene and are able to contain the majority of Arkham baddies, but Joker and Luthor get away to piece together their plan, which involves hitting up the ACE factory and also the Bat-Cave. Looks like the Dynamic Duo have their hands full and as much as Batman wants to try to pull this off solo, he's gonna need a little help – mainly in the form of Superman. Eventually the duo face off against Lex, the Joker, and a giant Jokerbot, which will require calling in the big guns – the entire Justice League: Wonder Woman, Green Lantern, The Flash, Cyborg, and Martian Manhunter. Lego Batman: The Movie captures all of your DC favorites wrapped around a Lego cinematic film, featuring all of its quirks, charms, and humor. On top of that, the film prominently showcases Danny Elfman and John Williams score from the Batman (Tim Burton) and Superman (Richard Donner) films, respectively. 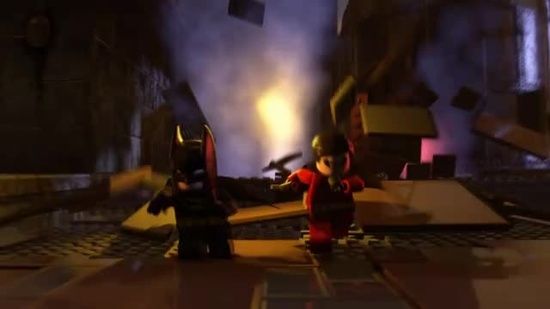 My understanding the film is essentially the cutscenes from the video game Lego Batman 2: DC Superheroes. If that's the case, it's a pretty bold move but one that actually pays off. 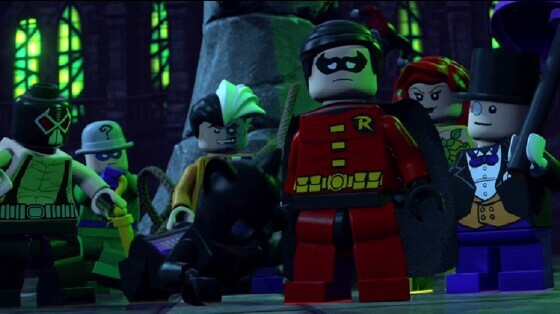 Since Nolan has finished his Batman trilogy and we won't see another Batman film until possibly 2017, I'd say Lego Batman: The Movie – DC Superheroes Unite makes for the perfect filler. It's a big story with tons of action, and jammed packed with humor. The plot plays out like a World's Finest and I'm surprised it wasn't called that; Lego Batman/Superman: World's Finest has a nice ring to it. But the film is short (70 minutes), easy to follow and it's loaded with laughs; one of the funniest bits is when Superman and Batman switch costumes. And it's how they do it that cracks me up the most. However there are other bits such as Bruce Wayne pulling up in a huge limo, The Joker creating explosive art of himself, the way Superman flies in all heroic like, and Robin who tries his damndest to keep up with Bats. The CG animation is familiar territory for anyone who has played the Lego game, for those that haven't expect fun Lego CG, a very cartoony look, with big, bold colors, plus there are some familiar locales from the Burton film (The Ace Factory); when it comes to Lego films, in terms of look, I wasn't expecting too much and what's presented here holds up quite well. Finally kudos on the voice casting; I was surprised at how well Clancy Brown's Lex voice works in such a cartoony role; his version of Lex is anything but humorous, especially on a Lego level. But overall winner goes to Charlie Slatter as Robin who plays the character to a "T", a bit whiny, nerdy, yet cool. 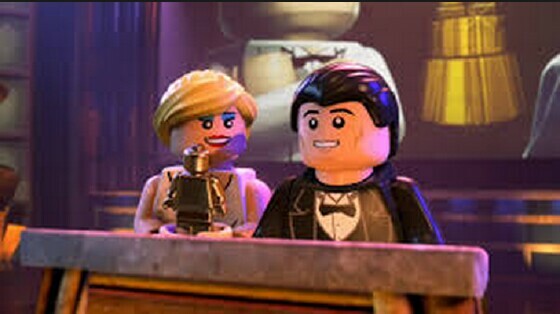 In the end a Lego film makes its debut in the Val-Cave and does just as well as a bigger DC Entertainment animated movie. Guys, I am impressed and I had way more fun than I had anticipated. 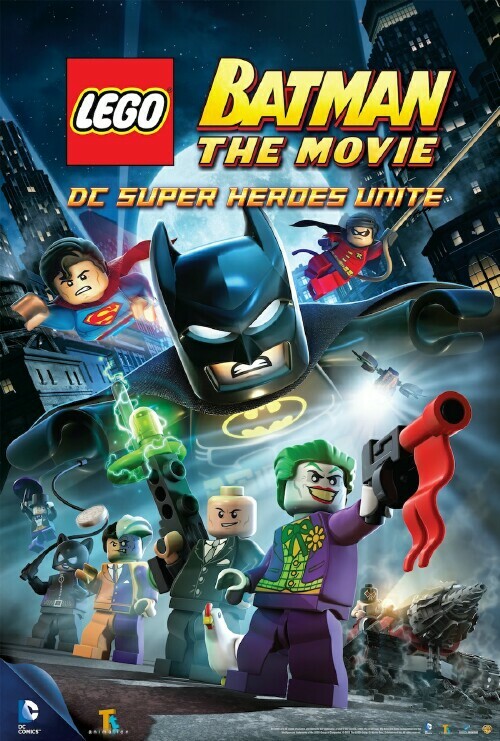 Lego Batman: The Movie – DC Superheroes Unite gets a DVD, Blu-Ray, and digital release on May 21st; if you've played the game, you've pretty much seen it, but why not enjoy it again minus the dot collecting? 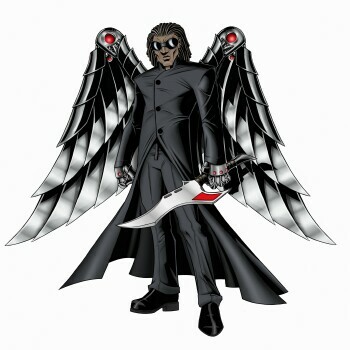 And if you've never played the game, such as myself, then you'll be in for a real treat. 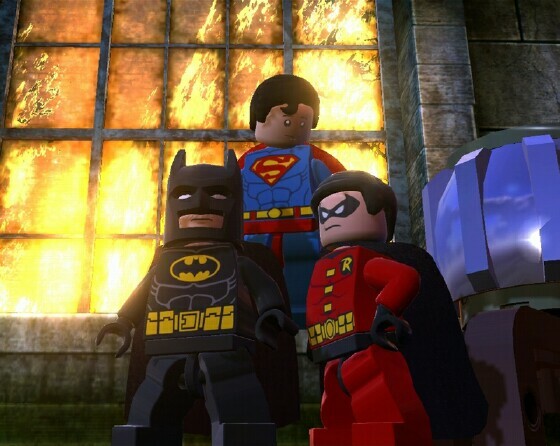 So out of TOV 5 stars, I'm giving Lego Batman: The Movie – DC Superheroes Unite a 5 star perfect out of TOV 5 stars.